And now for my Frugal Round-up. Here are just some of my faves from last week's party. 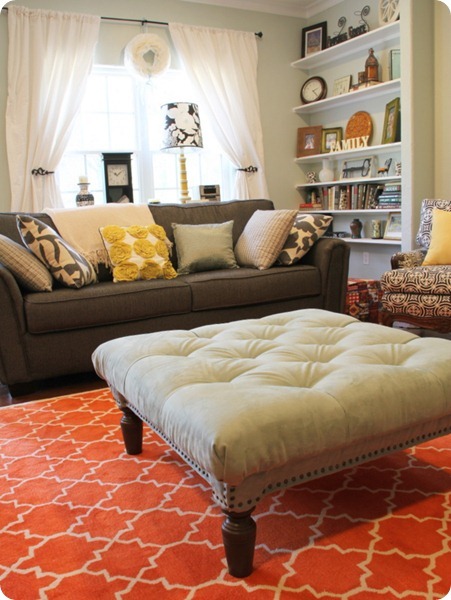 First, Five Days Five Ways shared her FABULOUS diy tufted ottoman. Oh. my. love. 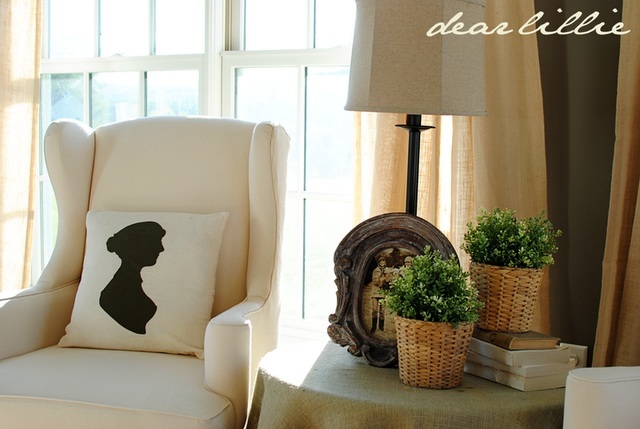 Next, Dear Lillie shared a fresh and pretty great room makeover. 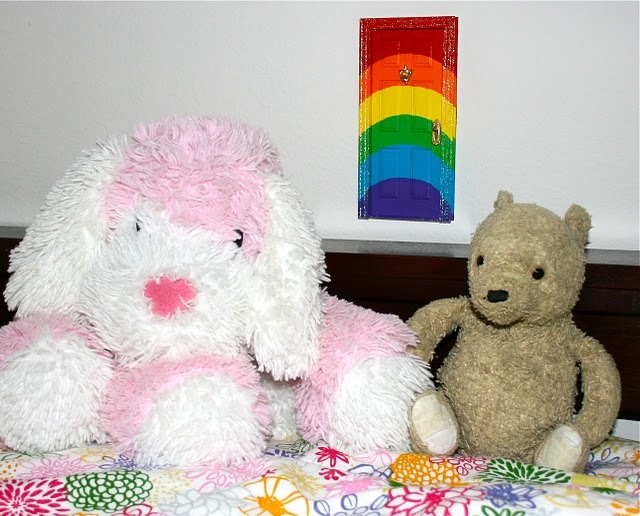 Smart Bottom Enterprises shared her adorable Tooth Fairy Door. 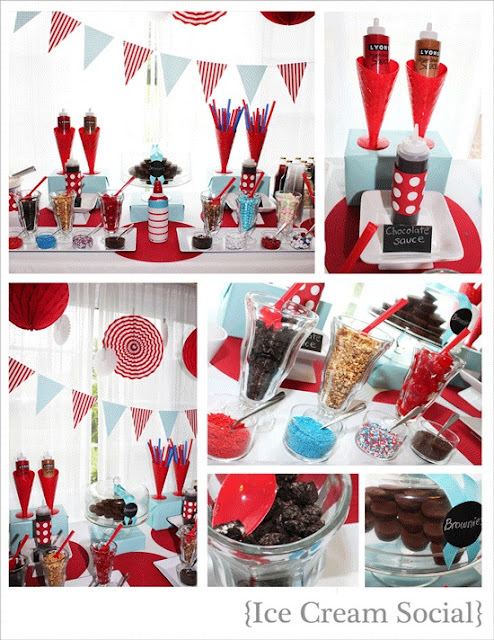 And finally, It's Always a Party at the Parker's shared a darling red, white and blue Ice Cream Social! Thank you so much for hosting! I love the ottoman!! Yes sorry I was going to leave the same comment...no pics on this party and we weren't able to link to a photo so if you change it back probably all the ones who have already posted wont have photos. Hi Wendy, That is totally something I would do!! : ) I'm entries 58 and 63 and I've already reposted them with the pics so don't worry about switching mine over! Thanks soo much for hosting! Have a great weekend. whoopsie! yes, I prefer the link parties that show photos. Thanks for hosting! Thanks for hosting. I love those side tables. I wanted to drop you a line to say that I really enjoy your blog and I have been visiting it for a while now but never got around to leaving a comment before. Sorry about that:( I do love all the clever things you do with your blog. I loved that party design too! Hi again, Wendy! 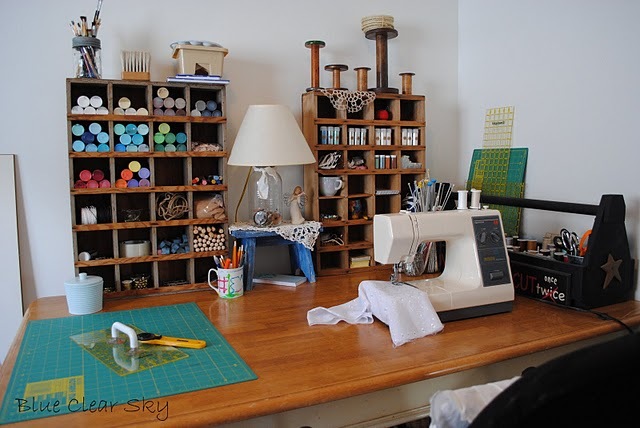 Thanks so much for hosting and for featuring my ottoman (squeeeal! ; ))! Linking up this week with my baby girl's nursery--specifically her craigslist swivel/rocker that I got for a steal, then redesigned (#210). Have a fantastic weekend! Wowza- look at all these "link-ups"!! Laundry is soooo not happening this morning! 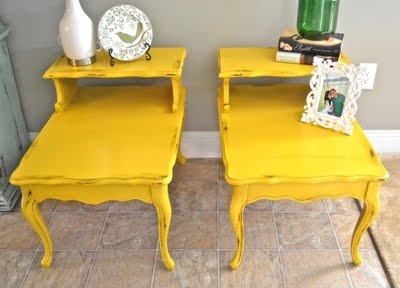 I love those beautiful yellow side tables! Thanks so much for hosting - I am your newest follower! Thanks so much for featuring us, Wendy!